I still like 1, and 3 is growing on me. 3 can be considered "iconic" in that it resembles the current structure. It also is shaded throughout. I'd probably still lean towards 1 with the hope that they can incorporate some shade features, but 3 works too. I'm convinced that 4 doesn't work. It's ugly and weird, doesn't have shade, and I honestly don't think that people would visit an amphitheater on the bridge with the Gathering Place just a few steps away. The bridge to me is for running, biking, and maybe a stroll for a view of the skyline or water. I don't see people gathering on the bridge for long periods of time, which is why I'm leaning towards 1 even without shade features, though I think shade features could be incorporated without much cost increase, and I would hope they'd consider it. I mentioned the spider problem on the feedback survey. Unless someone sweeps daily, it's going to get out of control, just like the current bridge. That's a good point. Lots of spiders in those steel rafters at the current bridge during the summer. Go to any lake or river during summer in the Southern U.S. and you'll see the same thing...water attracts bugs which attract spiders. #1 wouldn't have that issue but would not have enough shade during the day. Hmm..
Is it just me, or were the flag and bridge selection processes nearly identical. The three flag designs picked by the committee sucked. The two bridge designs picked by the committee were cool. The important differentiator, which you allude to in your (correct) "what the hell's wrong with our current flag?" comment is that there has never been any real question that we need a bridge. Like a lot of others, I would have liked to keep the old bridge. But as that one was coming down one way or the other, we need a new bridge. Then its simply a matter of going through the process. Also, I think by allowing public comment on the finalists and giving the architects a chance to address those concerns, the committee greatly improved the overall process. It allowed for increased public input and engagement/acceptance of the final selection. I really don't care one way or the other as to whether we need a new flag. But if we are going to have one, we need better options, and better/more public input on the process. The bridge designs were all identifiable as bridges. The bridge process involved a redesign round, so did the Orlando flag program we modeled ourselves after, but Tulsa's flag program didn't. The latest cost estimate for construction of a new pedestrian bridge over the Arkansas River is about $2 million to $7 million more than the city has allocated for the project, according to figures provided Tuesday by the city of Tulsa. The estimate, which ranges from $25 million to $30 million, covers the projected cost to build the base model of the Gateway Bridge. The figure is expected to change by the time final plans for the bridge are completed next fall. The pedestrian bridge, designed by Michael Van Valkenburgh Associates — the same company that designed A Gathering Place for Tulsa park — was selected by a bridge design committee appointed by Mayor G.T. Bynum. The bridge will be built at approximately 29th Street and Riverside Drive and connect to the west bank of the Arkansas River. Not included in the cost estimate are the wooden deck, vegetation, shading and other design elements that were part of the rendering on display in June when the winning bridge design was announced. In making the announcement, Bynum said the city would not spend more than the $24.5 million it has allocated for the project and that it would look to the private sector if additional funds were needed. In fact, the mayor asked the finalists in the bridge design competition to provide two designs — one that could be built for $24.5 million and one that could be built for $35 million. “We have a world-class bridge if we don’t add another dime to this,” Bynum said at the time. Since that pronouncement, the city has spent approximately $1.3 million on design work for the project, leaving $23.2 million for construction. Nick Doctor, the city’s chief of community development and policy, said a lot of value engineering remains to be done on the project to bring it within the city’s budget. “There is still a great deal of work to do to refine those numbers and bring them down,” Doctor said. Asked what the city would get for $25 million to $30 million, Henry Som de Cerff, design engineering manager for the city, said the bridge would have iconic steel arches and a concrete deck. “But in terms of any aesthetic lighting, shade structure, seating structures, I believe those would not be present,” he said. Som de Cerff stressed, however, that the bridge design is far from complete and that he is hopeful the city will be able to fund not only the base design but amenities on the deck as well. Som de Cerff said a more precise cost estimate will be presented to Bynum and other members of the Pedestrian Bridge Selection Committee in the spring. It will then be up to the committee to determine how to proceed. Doctor said the city won’t know whether it needs to raise private money — and how much — for the project until it has a more definitive cost estimate. Michael Van Valkenburgh Associates worked with the city for about a year to come up with a pedestrian bridge design before Bynum opened the process to the public in March. The city received 234 design submissions. The pedestrian bridge is expected to take 18 to 24 months to build once construction begins. The city actually budgeted $27.5 million for the pedestrian bridge project, but $3 million of that has been set aside for contingency. The three major funding sources are the Improve Our Tulsa capital improvements program ($7.7 million); a federal TIGER grant ($4.7 million); and Vision Tulsa sales tax ($15 million). So, it will cost $2-$7 million more than planned to build a bare-bones bridge with almost none of the characteristics that led that bridge to win in the first place. It will be $35 million (at least) to get a design anything close to the rendering. So why did we even vote for a design if we get none of the things that made that design attractive? 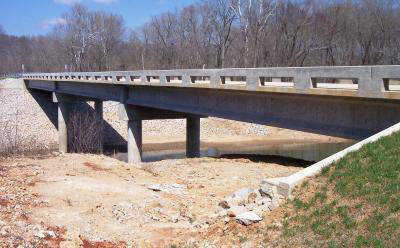 So We pay up to $7 million over the stated budget to get a bare concrete bridge with no seating, shade or lighting! It will be far worse than the existing pedestrian bridge. All for $30 million dollars! The city has spend $1.3 million on the design. What a failure! You'd think the Gathering Place designers would be better at estimating costs. No, the greatest issue isn't terrible education, inadequate road funding and a lack of high-end jobs, it is "racial disparity". How does he propose we fix that? Tax the heck out of all the white people and make them poorer so everyone can live a similarly poor life? Has he been to some of the poorer neighborhoods all over, but especially West Tulsa, full of poor white people? There was no outrage about the white man with a hammer and another unarmed who were killed by police. Maybe that is in line with a new mayoral executive order - for every 1 black person police shoot, they must shoot at least 2 white people (which is basically how the stats are anyways, actually closer to 4 to 1, but it's that 1 who brings in Jessie Jackson and CNN). You've seen Tulsa's Amazon pitch? Share?